Andreas Petikas S.A.C.I. was established in 1980 and has constantly grown into a pioneer meat industry. 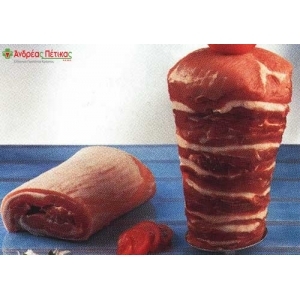 Its main activity is beef and pork meat trade, processing and meat preparations production. 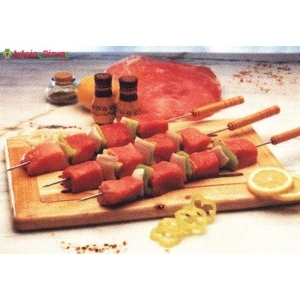 It addresses to butcher’s shops, hotels and major accommodation enterprises. Since 1991, it is located in its privately owned facilities, next to the airport of Thessaloniki, in a fully equipped unit, certified by the European Community with the code number A-37. 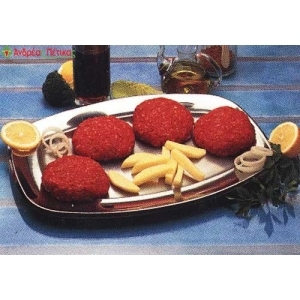 In 1980, Andreas Petikas establishes a company which traded mainly frozen meat from Argentina and Brazil. With the European integration of Greece, he becomes the pioneer in fresh meat import from the community. The company’s main office and shops were located in the central food market of Thessaloniki, named Modiano. In 1990, following the trends and perceiving the market’s needs for further services, he invests in the purchase of a field in the airport district and the construction of the main building of processing and distribution, complying with all EU regulations. In 1995 and 1998, he proceeds to successive expansions, achieving ISO and HACCP certification, which have been implemented ever since. The aim of the company is the meat supplying of butcher’s enterprises, restaurants, catering enterprises and hotels from big resort complexes to small tourist lodgements. The company's vision is to develop new services, in order to increase consumers' satisfaction. We are at your disposal for any clarification and additional information or for an individual discussion about your specific needs.